Having children comes at a “significant” cost for a woman’s career, according to a recent report from the Royal Bank of Canada, which says women are paid less than they would otherwise have been for up to five years after giving birth. While this isn’t surprising, considering most women take parental leave and stop doing paid work for as long as 18 months in Canada, the study said the drop in income lasts for years after they go back to work. 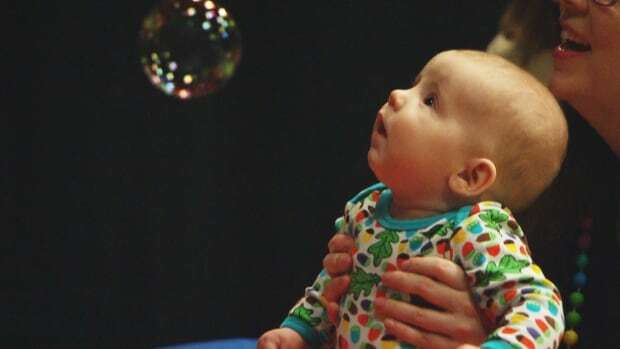 “A more worrying statistic is that women experience a significant earnings penalty spanning five years after the birth of a child,” said Andrew Agopsowicz, senior economist at RBC, said. It’s even worse for younger women, with those aged 25 to 29 losing an additional 14 per cent in earnings over this period. The reason younger women see more of an income loss could be due to having children at the same time as a key period for career development and advancement, RBC said. “Focusing on women who have their first child between the ages of 30 and 34, we find that while there is again a substantial initial cost, earnings quickly return to, and even surpass, the level of those without children,” Agopsowicz said. On the other hand, men do not typically experience any penalty for having children, according to the report, which says men actually see an increase in earnings after they become fathers. “Whether this is because employers see fathers as harder working or more committed than non-fathers is up for debate and further study, but the fact remains that career costs of parenthood are largely placed on women,” Agopsowicz said. Women having to balance the demands of work and family to a greater degree than men also leads them to spend “substantially” more time doing unpaid work, especially childcare, the study said. “A woman working part-time earns 74 cents for every dollar a full-time female worker earns, compounding even further the wage gap,” Agoposowicz said. One of the ways that women mitigate losing income in their careers is to delay having children. Added to all this, having children is not the only factor that weighs on earnings for women. “While there has been an increase in both men and women reducing their work hours due to “personal or family responsibilities,” women continue to bear the greater burden,” RBC said.